Y'all, we're officially halfway through the football season and I'm not sure where the time has gone. It seems like forever since week one back in August but at the same time I feel like football season just started. Guess who gets her own personal bye week this week? That's right. No football game for me! No tailgate, no tiger paw tatoos on my face, no cheering on my team in person. I will actually get to sleep in, go for a Saturday morning run, watch football on TV, not travel anywhere... I cannot wait for this weekend! 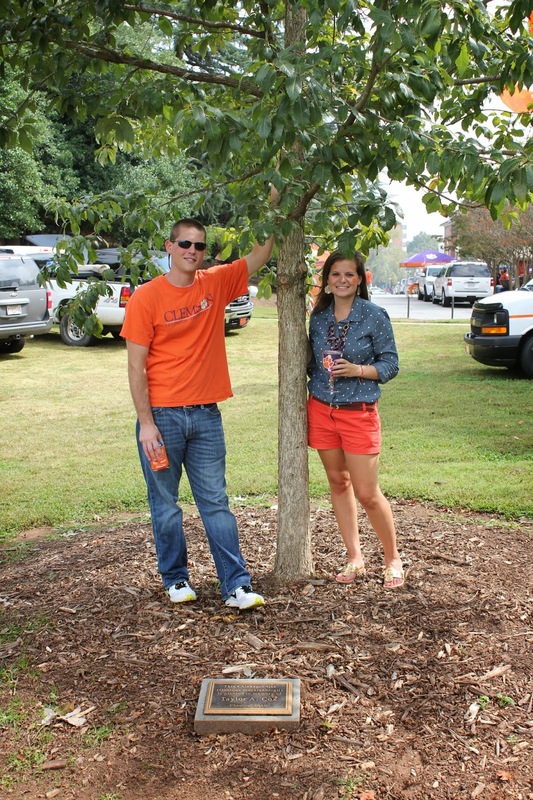 But let's go back to this past weekend in Clemson. 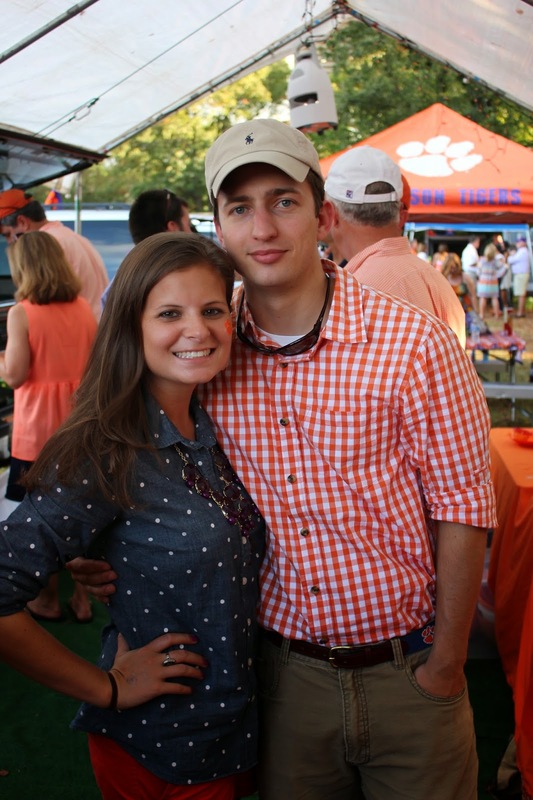 As a few of you may have read in this post the other week, I lost a friend while I was in school at Clemson. 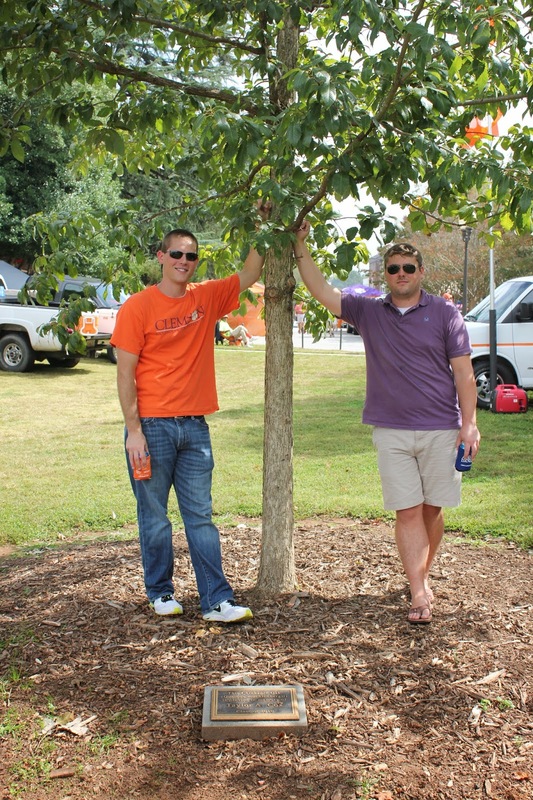 Saturday marked seven years since that day and so Patrick, his brother Andrew, and I decided to go visit the tree that was planted on campus in his memory. 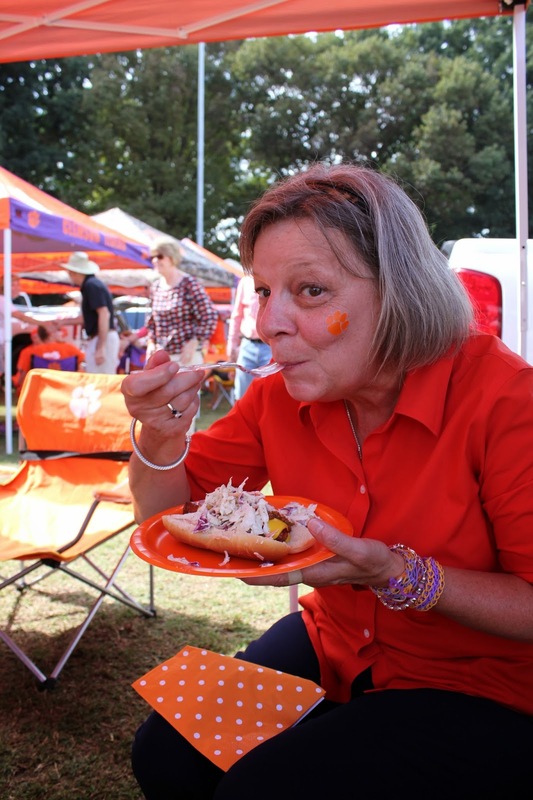 My mom's favorite tailgate of the year is the one where we have hot dogs & chili. We love Nuk. A whole lot. He got a standing ovation when he showed up to the game on Saturday. We also love Vic Beasley and the fact that he set the sack record at Clemson on Saturday. He's a beast. & we especially love when our defense wins out on a 4th quarter goal line stand and we walk away with the win. Ready to see what a non-football game weekend looks like during football season? 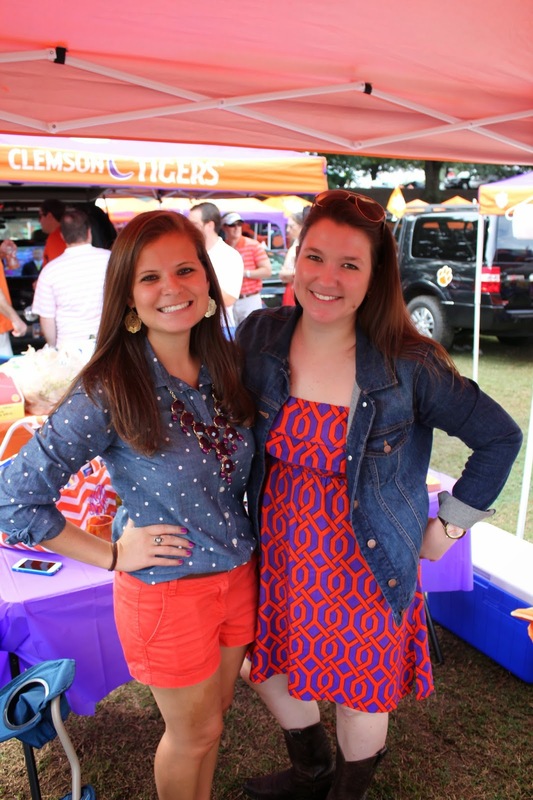 I love seeing your outfits from all the tailgates - so cute!! I can't even believe the season is half over - so sad!! 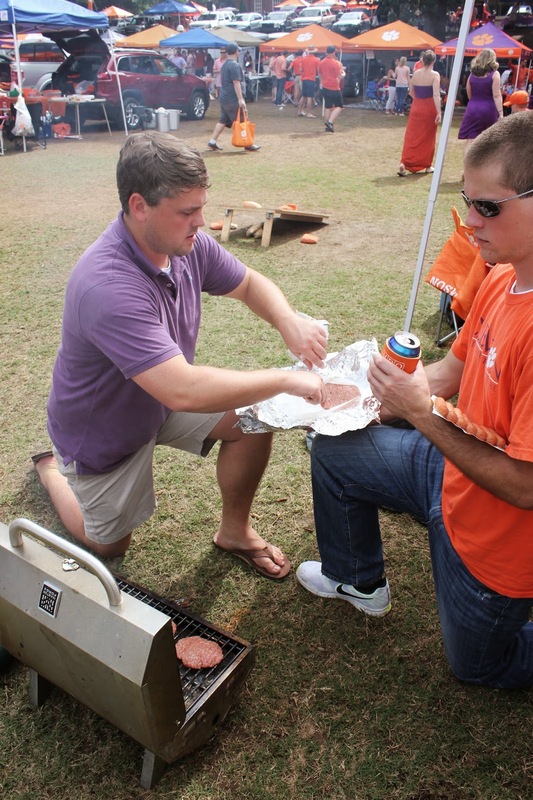 You are the tailgating master and you deserve that bye week. Super cute outfit, perfect for fall. I'm slightly obsessed with that black bean and corn salsa. It's so good! 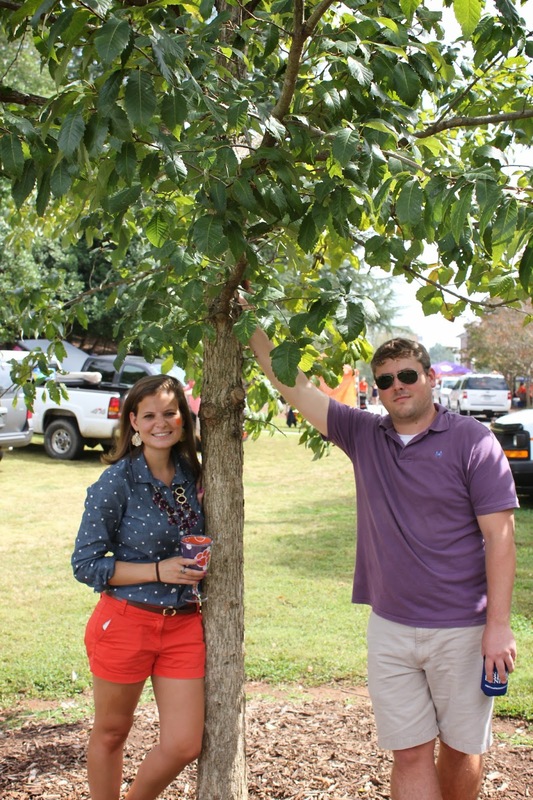 I stumbled on your blog from the weekending link up...and I love how much you love college football! I don't have access to visit games at my alma mater but I watch every game on TV (not the same) and I wake up bright eyed for GameDay every Saturday! Love it! 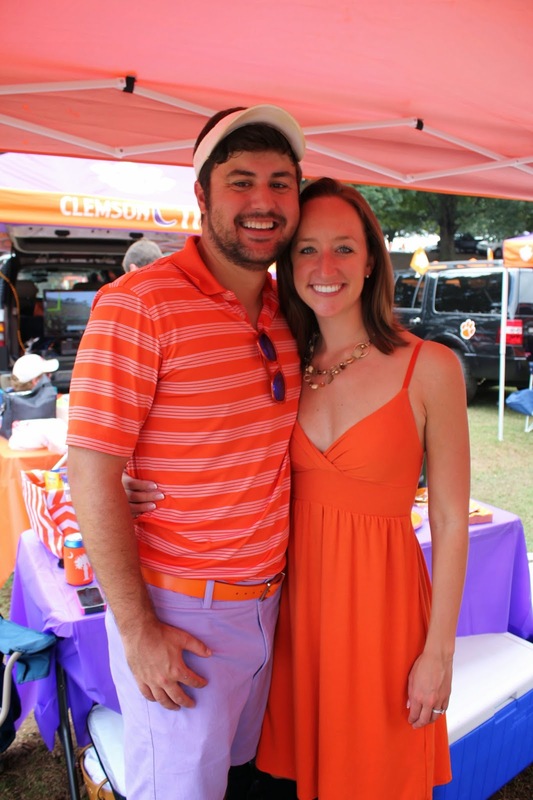 Love your posts about Clemson! 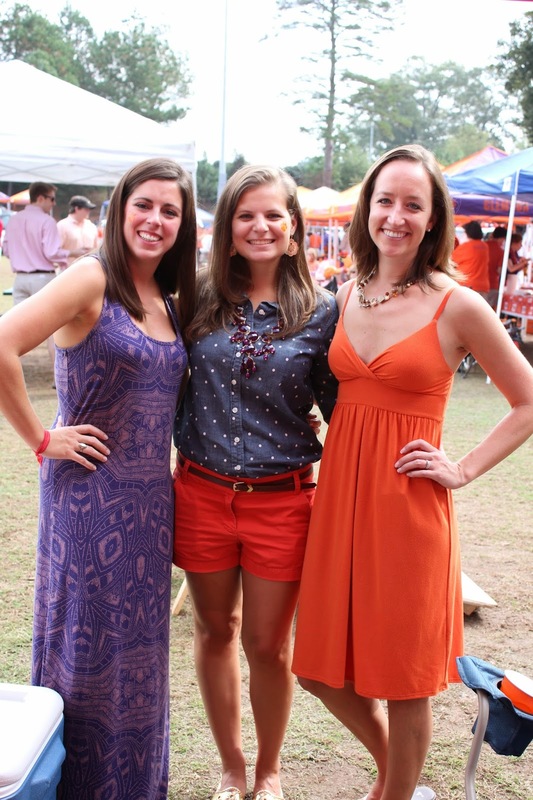 okay so how many tailgating outfits do you own?! they are all so cute!! hahahahaha soooo the Gators don't even make the list because they are so bad this year!! So...what camera lens were we using to get those action shots down on the field?